A form of scrying, tasseomancy or tasseography refers to the divinatory art of deposit reading in cups. In fact, the tass- prefix of each word is French/Arabic for "small cup." From this, tasseomancy can refer to coffee ground and wine deposit readings but most commonly points to tea leaf reading. Tea leaf reading isn't necessarily an application of magic but rather a tool for tapping into the subconscious by meditation and pattern recognition - common themes in any form of scrying. Sometimes preferred because of its imaginative flexibility, the diviner can discover their own symbols and system that work best for them. However, this freedom can be irritating for those who require a more rigid system with clear-cut rules. Either way, it's a craft that takes time to build and hone; tea leaf reading is not a practice learned overnight. Today, we'll be exploring a brief history and the basic functionality of tasseomancy! While many point to China or India for the origins of tasseomancy, no direct date can be found of this practice being used that early. This isn't to dispute that tea leaf reading isn't something that developed there - there's just no current proof. The earliest solid evidence, however, can be traced back to medieval Europe. 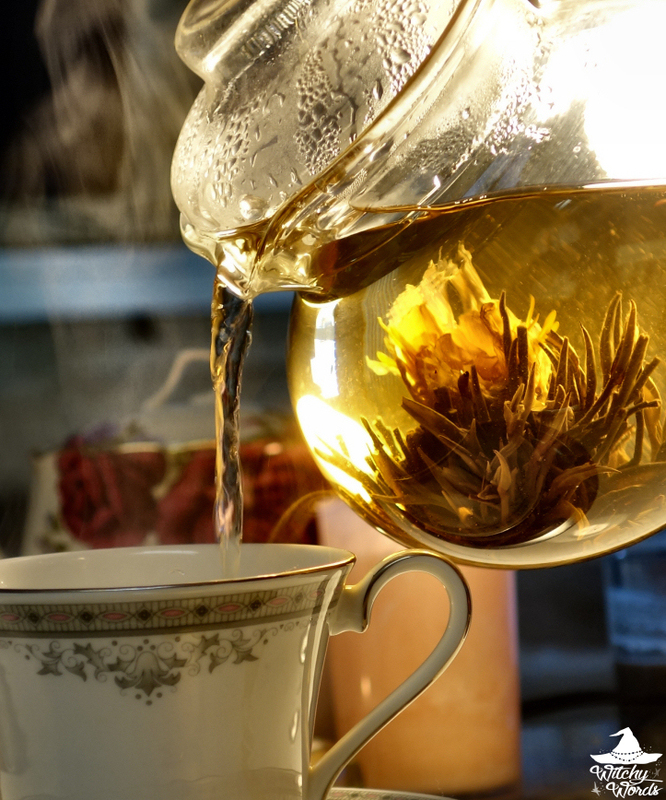 Tea itself first made its way to Britain from China in the mid-17th century through Dutch merchants. It was originally an elevated, aristocratic beverage but, as trade fueled falling prices, the general population began to drink it. Already culturally superstitious, lower classes were quick to use tea leaves instead of other cumbersome or dangerous methods of scrying previously employed, such as splatters of wax, lead and other molten substances, or animal entrails. Tea leaves spread quickly through Scotland, Ireland, Wales and England, forcing potteries to craft elaborate teacup sets. Some of these were designed to specifically aid in fortune telling, again providing evidence of this divination's use during that time period. The earliest book on the subject, Reading Tea Leaves by a "Highland Seer," is the oldest book on the subject and notes generations of Scottish wives utilizing it as a divinatory tool. During the Victorian Spiritualism era, tasseomancy gained significant popularity. Fascinated by the occult and the concept of self-analysis brought on by psychologists like Sigmund Freud and Josef Breuer, Victorians turns to all sorts of esoteric practices, ranging from seances to tarot to, of course, tea leaf reading. This was further infused when Romani peoples took up the practice. The Roma were, and still are to this day, forced to be itinerant due to terribly racist laws, brutal genocide and and enslavement. Unable to work standard jobs as they were barred from employment, the Romani turned to services and crafts that could be maintained through their enforced lifestyle. Tea leaf reading was one such practice. While it did not originate within the culture, it's important to know that this is why fortune telling, such as this particular practice, is stereotyped with the Romani/Roma peoples and why you may see the slur "g*psy" attached to said divination system. Being culturally aware and conscious of these issues makes us more protective, sensitive and helpful when these stereotypes are cast. Modern tasseomancy has been infused to all cultures and people of various backgrounds, including Christianity and, of course, witchcraft. From Appalachian folk practices to Sunday brunch, tea leaf reading is a way of incorporating a little magic into your daily routine. Tea cups are best for tasseomancy when they're shallow and wide-brimmed with a smooth, white interior. A light-colored and plain cup from the inside is imperative as tea leaves form dark and sometimes busy readings that may be difficult to discern in a dark and busy cup. A platter can also help maintain mess or provide additional surface for scrying. Some cups are specially made for divination with tea leaves, including playing cards, Zodiac signs, planetary symbols and other such sigils to assist with your reading. However, it should be noted that these cups are absolutely not necessary. My favorite cup to read from is a plain white cup that I bought from a thrift store for $1.50, which you can see below. For teapots, I wouldn't suggest anything fancy. In fact, I boil water in a kettle and pour the hot water directly onto the leaves inside the cup. However, if you prefer, you can use a teapot with no mesh or filter and steep the leaves inside that. The important part of this entire method is to ensure there are leaves at the bottom of your cup when you finish drinking. Of course, the most important aspect of tasseomancy is the tea itself. The tea should be a loose leaf tea - not grounded and with no large leaves or twigs. A uniform loose leaf is best. 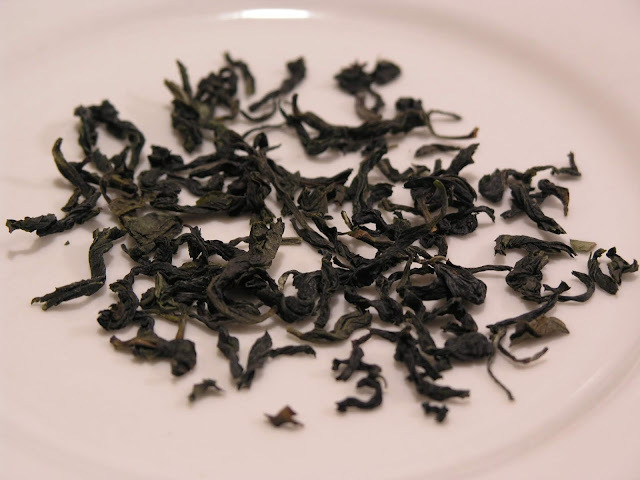 Black leaves provide the most contract and clearest images, but any darker colored tea leaf will do. This includes Chinese black tea, earl grey, ceylon and more. You could even create your own tea as a way of emphasizing certain divination questions or psychic abilities. While you could cup open a steeping bag from a brand-name tea, some circles advise against it, citing bad luck or intentionally improper readings. 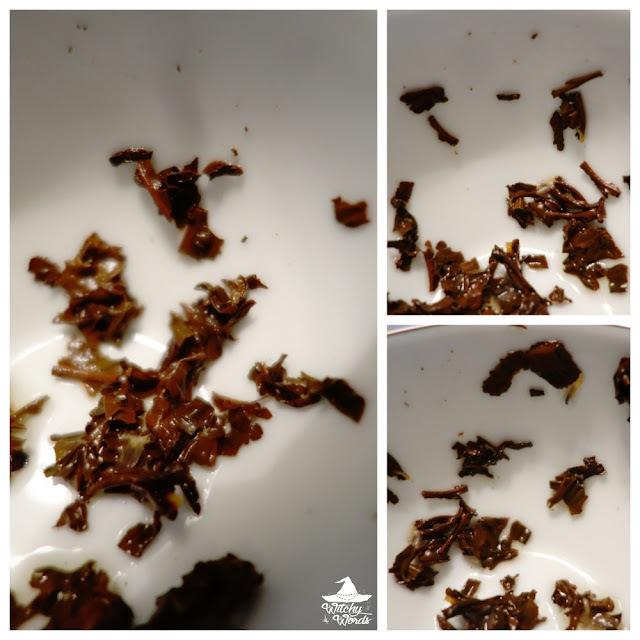 Truthfully, tea leaves in tea bags are often so fine-ground that they barely leave a reading behind. There is some logic behind the myth. My suggestion is to do what works best for you. There are few hard rules when it comes to tea leaf reading; only suggestions that make the practice easier. For most cups, a half-teaspoon of leaves is more than sufficient. Place the leaves in the cup first and then pour the appropriate temperature of water over it. Allow it to steep before drinking. Once steeped, you may add a little honey, sugar or lemon but you cannot add creamer if you plan to read the leaves. The fat from the creamer can affect the coagulation of the leaves and either cause them to all fall out of the cup or stay in one clump at the bottom. This will not make for a good reading. From here, it's important to drink and enjoy the tea, using this time as a meditation to think of your question or topic, or to clear your mind if necessary. Infuse your cup with your concern or with who you are for a clearer, more accurate reading. Once you have a tablespoon of liquid left - or just enough to cover the leaves and allow them to move freely - hold the handle of the cup and swirl the liquid gently while thinking of your question. Kind of like a shuffle of the cards for tarot or oracle, this will officially place that question into the leaves. Some practices say to set the cup down with the handle facing you and turn the cup counterclockwise three times. Others simply want you to set the cup down for a second. Then flip your cup gently upside down on your plate and allow all of the liquid to drain out for a moment. Some practices may want you to turn the cup three times while it's upside down or tap the bottom of the cup three times but, again, it depends on what you feel is right. Once the liquid has drained from your cup, gently turn your cup over. You should see tea leaves stuck to the sides of the cup as well as the bottom. It may take some practice to get it exactly right so don't panic if that's not the case your first time around. If you have some symbols within the cup, congratulations! You're reading to do your first reading! Bottom as past, middle as present, top as future. Bottom as future, middle as present, top as past. Rim as good, middle as neutral, bottom as bad, or reverse. Handle is participant and the distance from the handle is your guide to the distance in the future. Divide the cup into two halves with the handle as the middle point. The right side are potential positive outcomes and the left are potential negative ones. Same division for yes/no questions. The saucer could also be read in similar fashion to the cup if enough tea leaves fall to it, but it isn’t traditionally required. Again, these are just various examples. There's even more out there! Additionally, if you're using a divination cup such as a playing card or Zodiac cup, you'll likely want to research the symbols to see what they mean and how they may apply. I would strongly suggest, if you're just starting out, to stick with a plain cup until you feel comfortable adding a more complex system. This is where things get tricky - and perhaps frustrating for those looking for an easy list. What a cat means to one person may have the opposite meaning to another. Rarely does a symbol mean the exact same thing to everyone. Most traditions and practices, myself included, encourage the individual to develop their own list of symbols and interpretations through trial and error. My suggestion is to make tea leaf reading part of your daily or weekly routine. Keep a journal of your readings by creating clear drawings of your cups, pointing out individual symbols and then noting what happens throughout the day or week to learn the meaning of your personal signs. Symbols to look for don’t always include actual figures (like trees, cats, people, etc). They can also be lines, patterns, letters, shapes and more. You may find that nonsensical symbols have the clearest meanings to you. For those that dislike this method and want an easy list, while I don't suggest it, here's a hefty dictionary: Click here. 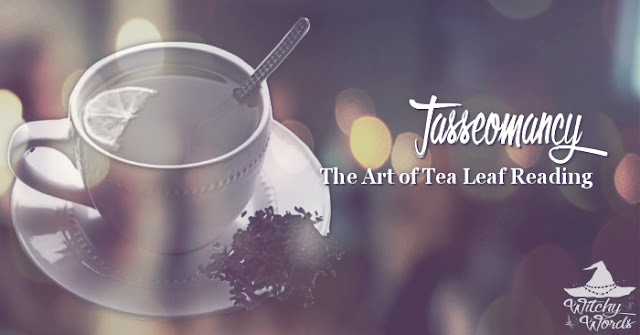 The bottom line, however, is that repetition and recording are key to learning your tea leaf divination system. Play with various layouts! Make multiple interpretations of the same cup - one directly after, one after 24 hours and one after a week. Try different interpretations of symbols - is that a snake or an S? What difference does that make to your reading? With dedication and time, tea leaf reading can become a divination system that is second nature to you! Best of luck! Howcast: What is Tea Leaf Reading?